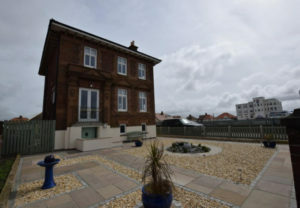 We worked with the owner of this striking four-bedroom house near Blackpool to create two more bedrooms and a new, generously proportioned living and kitchen space, with stunning views out to sea from a large new sun terrace. This early 20th-century house was built by a former tea baron, who wished to replicate a residence he’d seen in France. He named it ‘Cherbourg’, in honour of its inspiration. 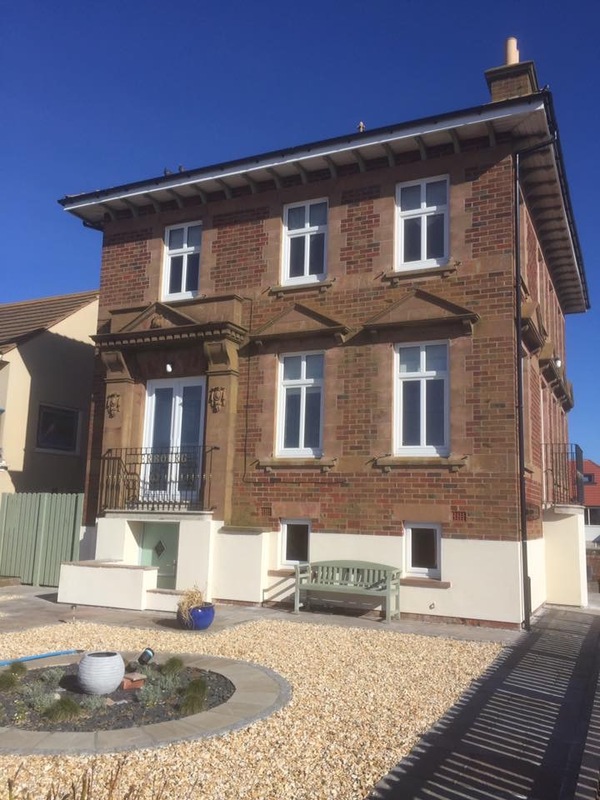 Though not a listed building, it is a local landmark in Cleveleys, having always stood proudly on its own as more modern developments have happened around it. We carried out an initial site visit and survey; and discussed ideas with the client. 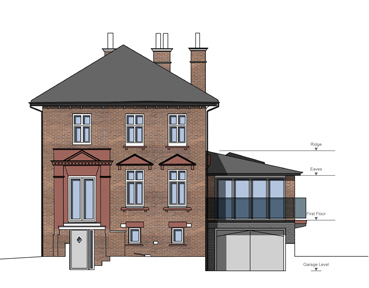 We then produced sketch plans for three options: (1) Extending to the side, (2) Creating a new semi-detached house next door and (3) Creating an additional new detached house on the plot. We drew up plans and elevations and submitted a planning application in January, which was approved in March 2017 (exactly eight weeks). 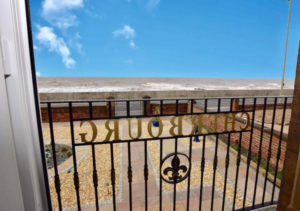 Design – The development had to be appropriate for the site’s prominence and the age of the property, so we reflected this with a thoughtful, respectful design. The extension was set back from the line of the existing house and the massing of the new extension was lower than the existing house. Plus, materials were specified to match the existing house, as was the size and design of the new fenestration (windows). 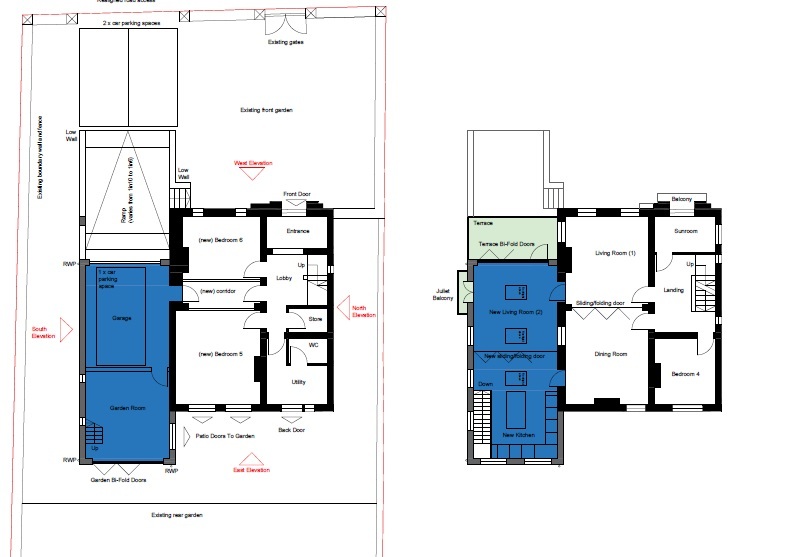 This presented a complementary contrast with the proposed open-plan, contemporary interior of the new extension. Flood zone 2 – The development site lies within a medium-risk area, so we tailored the design to ensure the new living accommodation was created at first-floor level (above the potential flood level), with flood risk measures to be included in the fit-out. We also completed a flood risk assessment for the project.